The art and science of custom knives come together in the Dakota Drifter from TOPS Knives. 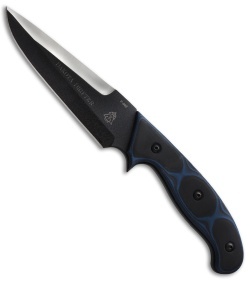 The two-tone, drop point blade has been individually hand ground by one of TOPS fine craftsmen. The full tang construction gives added strength and superb balance that you'll notice each time you use it. The blue and black micarta scales have a good feel in the hand and provide excellent grip. 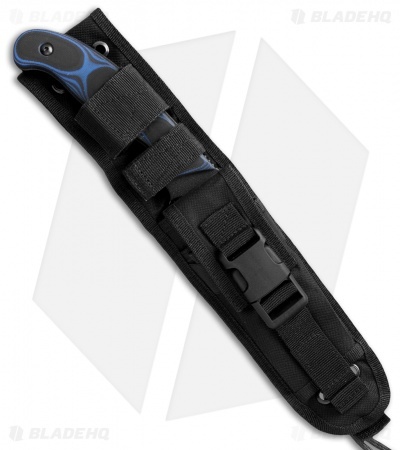 The knife comes with a black nylon sheath with a belt carry option.